Several times ago i choose to buy cheapest things online. Arduino Nano has many version. Cheapest things came from chinese. This is solution for low budget innovator. In some case this error make me frustrated. Start searching in google and another reference still stuck. So i make experiment for “Problem upoading to board” in chinese version arduino. Some error code says avrdude : stk500_recv(). This error is same code and cause from chinesse version of arduino. some chinnese version have CH34 bla bla. 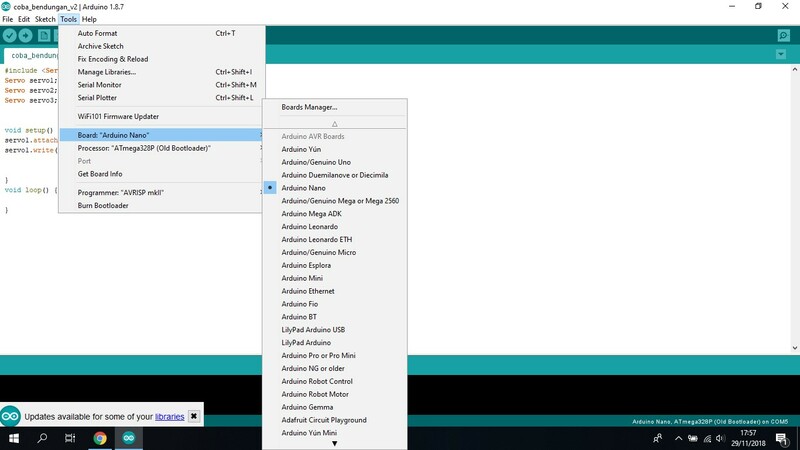 so this is driver must be installed in your computer before upload and build your arduino project. Problem uploading to board in some case affected from driver error. As describe above to check driver you must check your device manager in windows. Point at com, if desribe as 2.0 serial or have question symbol as possible you must install CH34 driver. you can download driver here. if driver failed to install. uninstall first then install again. from tools menu select board and select the right arduino. Arduino nano is common small arduino, arduino uno with more analog and digital pin and big size ones. Arduino Mega is biggest one. Commonly arduino has ATmega328p so select this processor to make everything right. Next step is click your COM port tahat attach to your arduino. After all step if avrdude : stk500_recv() show up in error warning. Installed lower version of Arduino IDE. I use 1.0.6 version and completely uploading. But if you don`t want to loose your new version of Arduino IDE just download zip version of Arduino IDE. How to use zip version is simple just extract and double click on exe file. From File menu open your code. simple right to solve arduino error avrdude : stk500_recv(). Previous articleNot yet released, how come Pixel 3 has been sold?